This is a 2-page wacky trails worksheet. Each worksheet has a total of 30 words, a puzzle grid, sentence clues with the missing words and a word bank at the bottom of page of the second page. 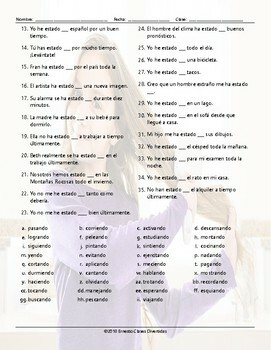 Students will look at the word bank and use the words to fill in the missing words in the sentence clues. The missing words becomes the target words to be found on the grid. Each word has a start and an end bubble. Students must figure out where the words are and connect the trail of letters for each word. The trails can wander up, down, left, right or diagonally. These worksheets can be printed and handed out to students in class. They also work great for extra homework practice. Each worksheet includes an Answer Key. complementary activities for this worksheet.